Omaha Media Group is excited to announce the launch of Lyon Auction! It’s a fun and extensive project for our team. 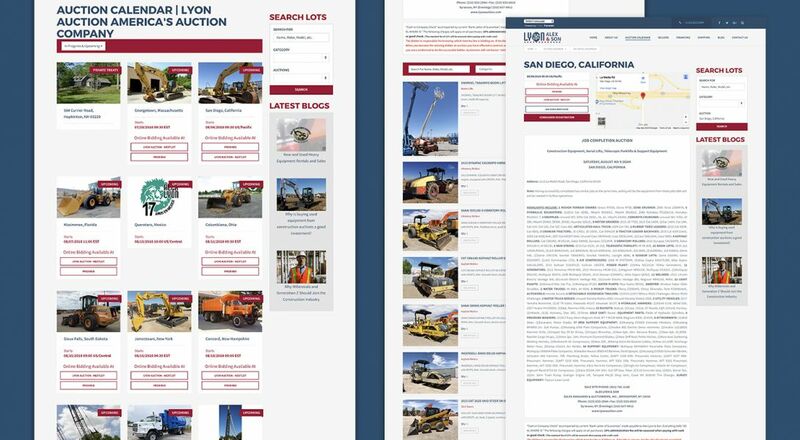 Lyon Auction is a family-owned company specializing in construction equipment auctions throughout the United States. Its headquarters are near Syracuse, New York. 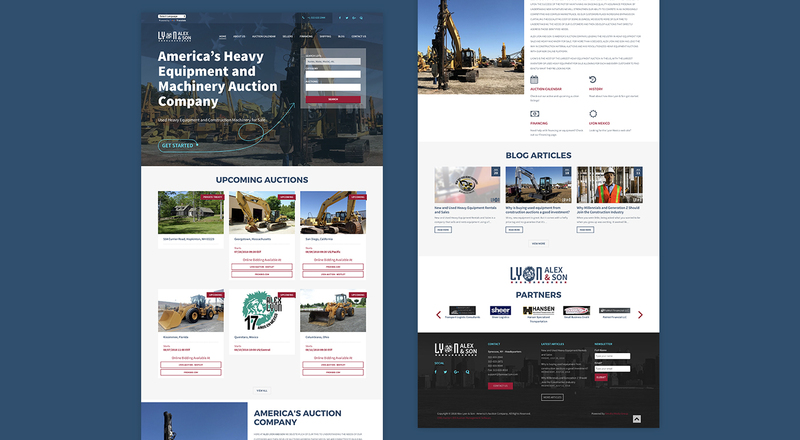 While hosting coast-to-coast auctions, their customers hail from around the world including China, Saudi Arabia, Spain, Turkey, and just about everywhere in between. This auction company is committed to providing innovation, hard work, and excellent customer service. Naturally, this made teaming up together a breeze. We’re experienced and love working in the auction industry. Maybe it’s the unique items or because it inspires us to try out our own auctioneering voices in the office. Regardless, the time and attention to detail each company requires is something we enjoy. First and foremost, extensive research and travel. From there, our OMG Development team integrated Lyon Auction with a new inventory management system. Long gone are the days of paper records. Hello, digital! 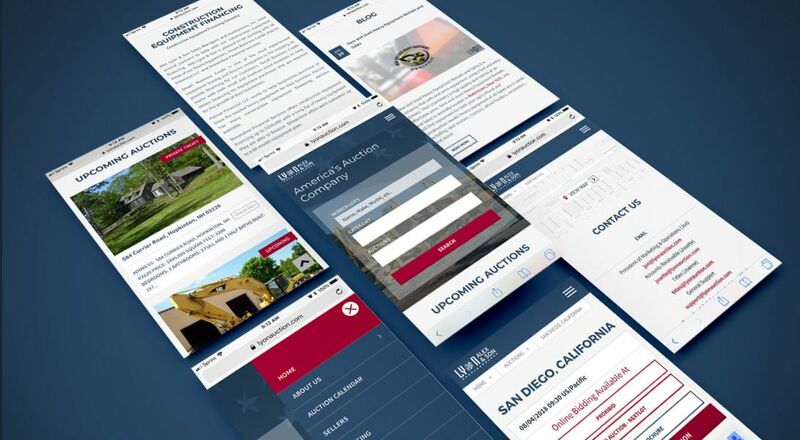 In addition, our team developed a brand new responsive website featuring current auctions, seller and financing information. 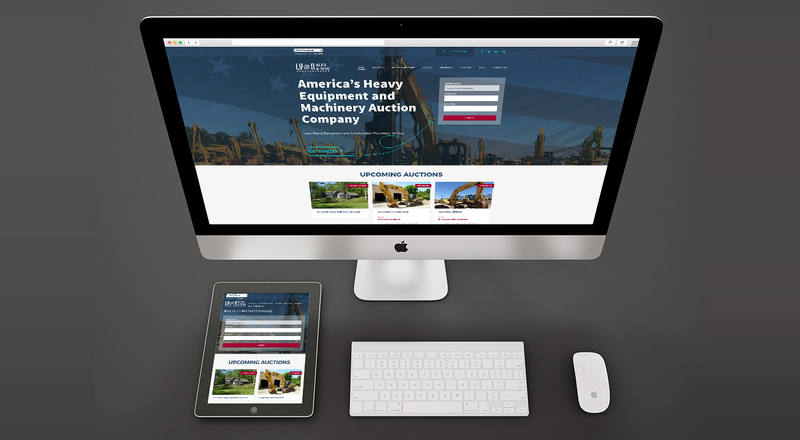 Plus, a blog on various auction and construction topics. 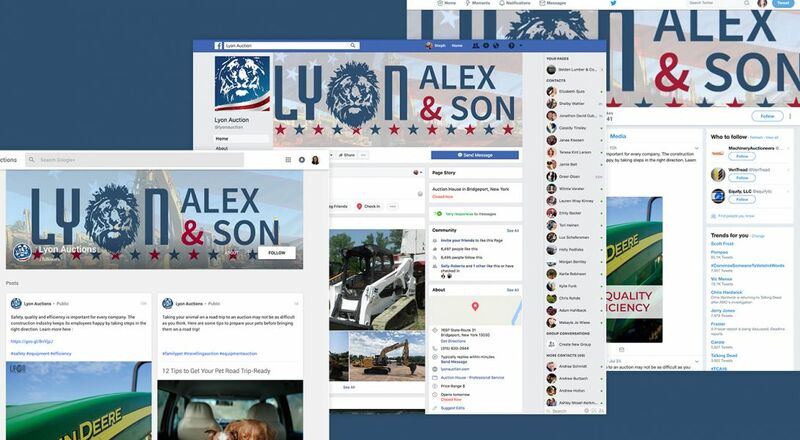 Polished with an SEO and digital marketing strategy, Lyon Auction is set to reach an audience that will fill their auctions across the country.